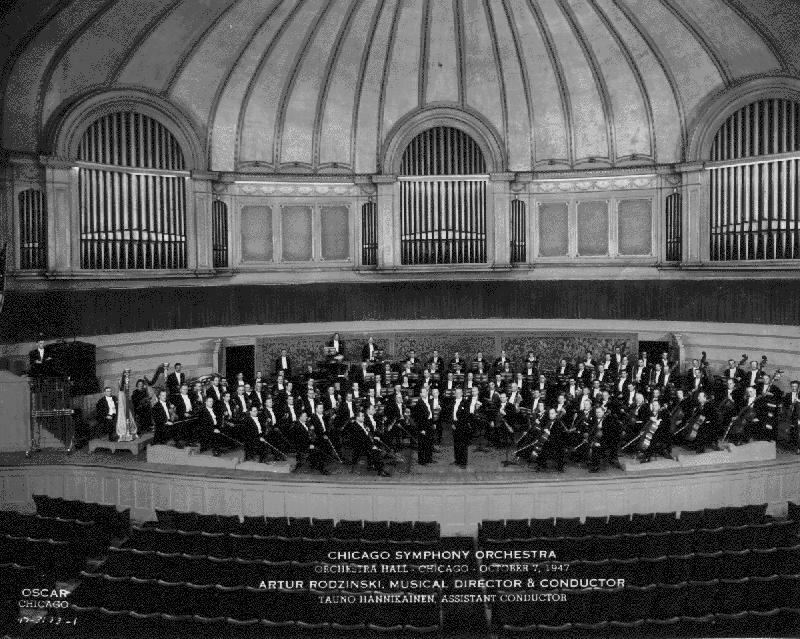 As the label indicates, this is the official portrait of the Chicago Symphony in 1947. 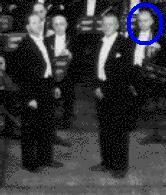 Dad is the first face to the right of the man standing on the right, which I assume is assistant conductor Tauno Hannikainen, with whom I am unfamiliar. There is a listing attached to the back of this photograph in the album that lists the names of all orchestra personnel. As I scanned the list I found names of quite a few persons I met or at least knew by name over the years.